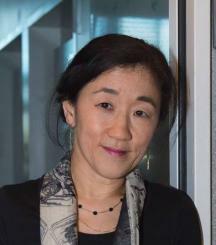 Reiko Oda obtained her bachelor degree in physics at the University of Tokyo, and her PhD in Physics at MIT (Cambridge). She then spent four years as a postdoctoral fellow at the University Louis Pasteur (Strasbourg). She created her group at IECB in 1998, recruited at CNRS in 2000, and is leading a group at CBMN since its creation (2007). Her carrier between Japan, USA and France allows her to have strong international contacts, and her group has always been extremely multi-national. At the same time, her training in Physics, and working in close collaboration with chemists and biologists allow her to have a real multi-disciplinary approach in the field of nano-bio-materials. She is interested in fundamental understanding on how different parameters are related to the formation of various molecular self-assemblies. By understanding the effect of these parameters, she aims at mimicing the structure formation and functions of biological systems in order to design and develop new bio-inspired materials. Her expertise is more specifically well recognized in the field of the construction of chiral nano-micrometric organic and hybrid nanoobjects with finely controlled morphologies and kinetics. As a foreign researcher living in France, who did an important part of her education in Japan and the USA, it is very important for her to keep the close contact with these two countries, in particular with Japan. She participates in several activities which promote the communication and exchange between the countries. Also, she is very keen on promoting the gender equality. She has been actively participating the discussions on gender equality conferences and has written some articles. 1988 : Bachelor’s degree University of Tokyo (Physics Department): "Laser instability and chaotic pulsation in a CO2 laser with intracavity saturable absorber"
2002 : Habilitation à diriger des Recherches (Université Bordeaux 1): "Autoassemblages de molécules surfactants cationiques"